He has been working in the field of eye care since 1981 at Aravind Eye Care System. He is an active member of the leadership team that established a sustainable, scalable model of service delivery which serves all strata of the society. This has since been studied widely and replicated by eye care providers across the globe. 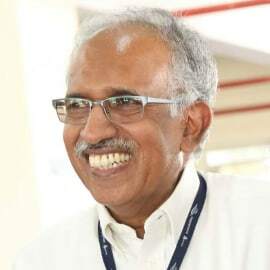 In 1992, he shifted his focus to capacity building, training and consultancy by setting up the Lions Aravind Institute of Community Ophthalmology (LAICO) which by 2008, had worked with over 250 hospitals across the globe. With his expertise in setting up culturally relevant solutions to the problem of avoidable blindness, he has served as an Advisor on several national and international bodies: he was the South East Asia’s Regional Chairman for the International Agency for the Prevention of Blindness (2000-2005) and till recently was the President of Vision 2020 The Right to Sight: India. He has been a Technical Advisor to India’s National Programme for the Control of Blindness and to the World Health Organization. Mr. Thulasiraj has been actively involved in several research activities, both clinical and operations research. He has authored/co-authored several articles in peer reviewed publications, book chapters and presented papers in several National and International forums. Mr. Thulasiraj’s contribution to the field of eye care especially its management has been well recognized all over the world:  he was named a Social Entrepreneur in May 2005 by the Schwab Foundation and has been invited to attend the World Economic Forum at Davos, Switzerland. He was adjudged as the Administrator of the Year in 2008 in the annual activity carried out by Modern Medicare and GE Health. The Chinese Ophthalmological Society in recognition of the support to Chinese ophthalmology and outstanding contributions to the prevention of blindness in China has given the International Gold Award for the year 2009.